GiveBig! | DISCOVER YOUR GIFTS! Are you ready? Your chance to help improve the physical space at Hillside is fast approaching! Last year Hillside used our funds from GiveBIG to revamp the Fern Room, the bathrooms, and kitchen, and more! We have all benefitted from the fantastic changes made as a result of your generosity, and we look forward to further improvement. This year we aim to create a welcoming office space to facilitate administrative work and meetings with prospective and current families, as well as potentially transforming the current staff room into more classrooms. 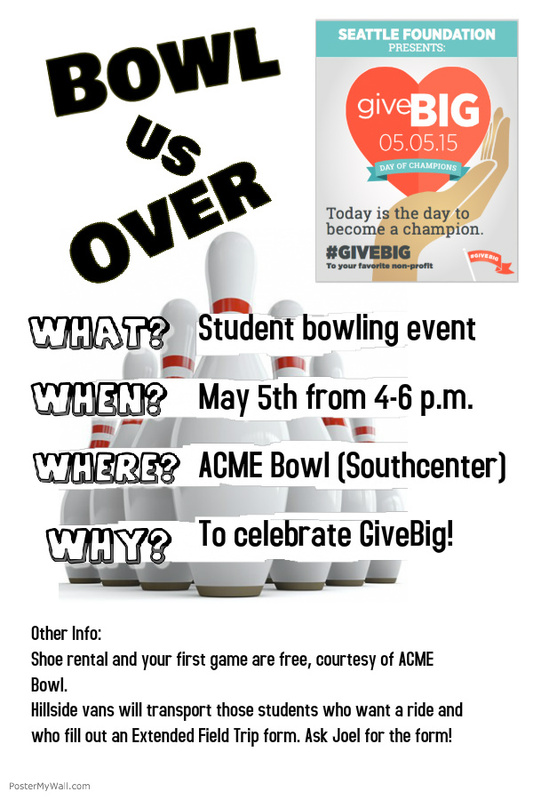 To celebrate this event, we will be having a student bowling event the afternoon of May 5th. Please encourage your student to join!